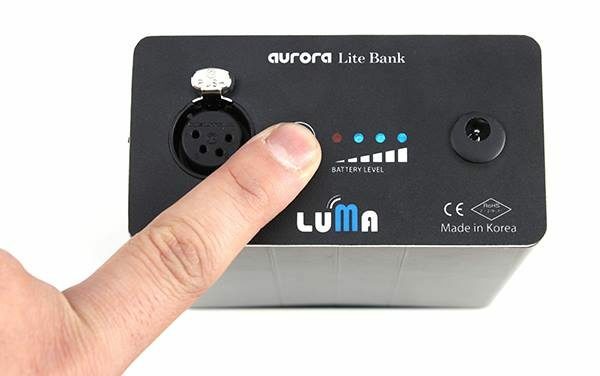 Aurora Lite Bank has introduced the Luma 800BI, "the perfect lighting solution for photo and video". 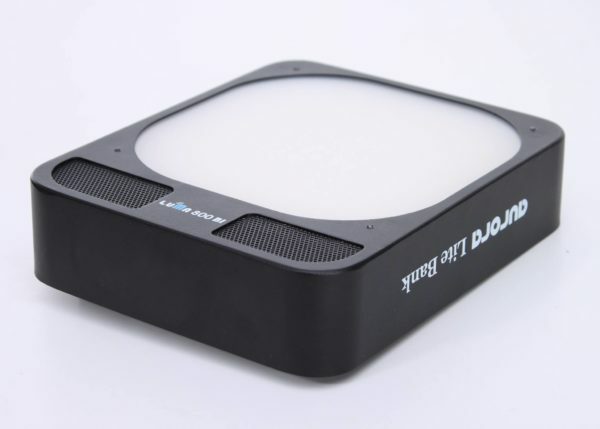 Korean manufacturer Aurora Lite Bank has introduced the Luma 800BI, an LED panel it claims to be “the perfect lighting solution for photo and video shootings in terms of lighting quality and portability”. The lighting fixture draws 80 watts and is bi-colour, with user-selectable colour temperature from 2700K to 6500K and dimming from 100% to 5% of full output. 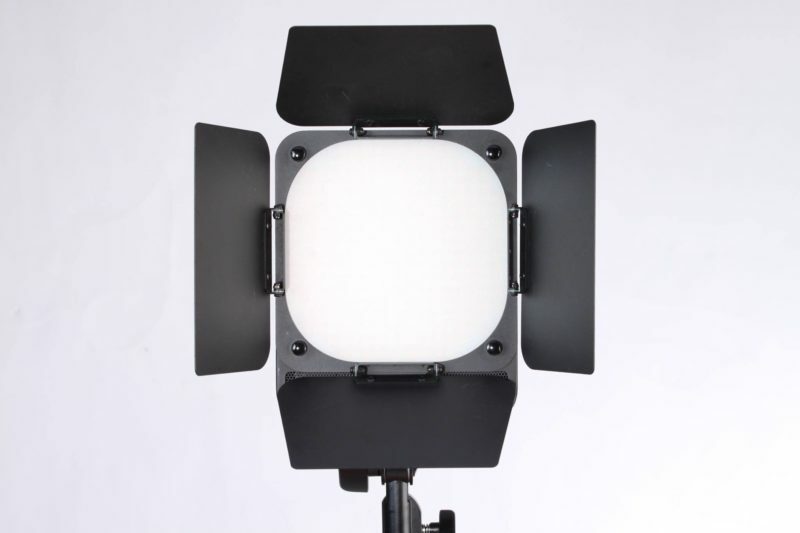 Unlike Aurora’s Luma 500 (50W) and Luma 1000 (100W) LEDs, the Luma 800BI does not have a Bowens S-type accessory mount. Instead, it has the form factor of a flat panel, with optional barndoors, softbox and grid attachments. 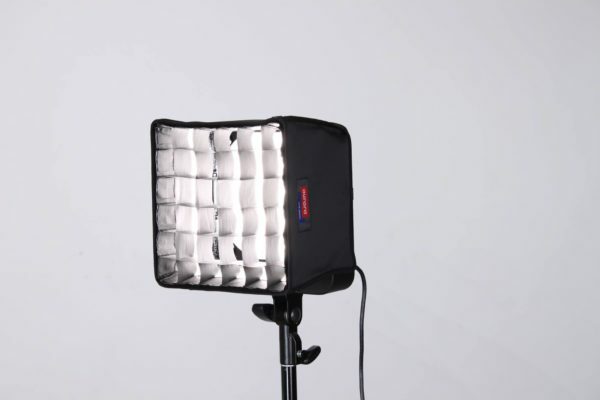 It can also be used in combination with a standard speedlight-style umbrella bracket. Colour rendering index (CRI) is, according to the manufacturer, 95+, good if you want accurate colour reproduction in your images. The cooling fan is “dead silent”, generating just 9–15dB of noise. The 1.13kg device is designed to be portable and suitable for location use. It runs from 12V DC power, supplied from either a mains adapter or a Li-ion battery pack. Using Aurora’s own Luma battery pack (14.4V, 10.4Ah) the Luma 800BI can run for 90 minutes at full power from a single charge. With an optional D-tap cable it will also run off V-mount batteries. Pricing and availability have yet to be announced. For more information, visit the manufacturer’s product page.